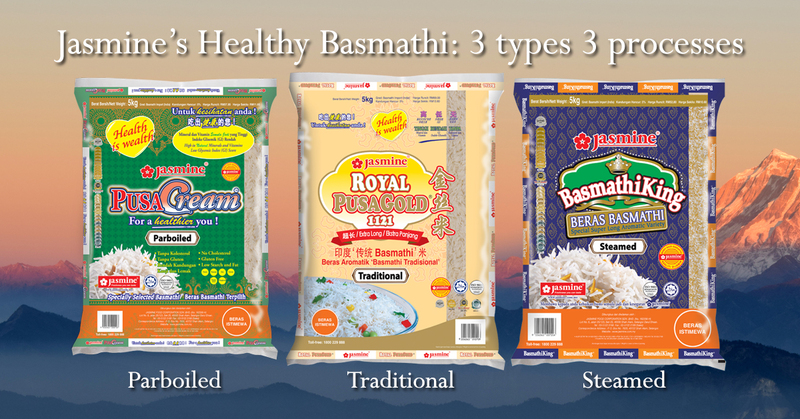 Basmathi Rice – healthier and tastier | Jasmine Food Corporation Sdn. Bhd. Jasmine’s range of basmathi are highly sought by food connoiseurs for their taste and special features such as extra long lengths, fluffiness and aroma. These unique rice products are imported from basmathi’s place of origin in Punjab, India and are premium in quality. The planting fields located at the foothills and plains below the Himalayas provide the perfect place for the world’s renowned basmathi rice. Research found that the cool, clean waters of the Himalayas and the high mineral content of the soil in the region are the reasons for such a distinguished crop. Basmathi rice has a typical sweet corn-like flavour giving basmathi its distinctive aroma and flavour. Due to this inherent feature, basmathi rice is also know as “the Fragrant One” or the “Prince of Rice”. In order for the basmathi grains to obtain their unique flavour, they have to be aged for long periods of up to a year, though some premium brands aged theirs for much longer. Jasmine’s basmathi rice brands are of the extra long, extra white variety. After cooking, the grains become elongated (normally twice the length), light, dry and fluffy; making it a delightful experience for each meal. Basmathi is known to contain complex carbohydrates with low fat content. These polyunsaturated fats reduce the cholesterol levels in the blood and provide essential fatty acids for the benefit of the body. Apart from complex carbohydrates, basmathi is also an important source of proteins and is a good source of iron, selenium, thiamine and niacin. Basmathi is known for its lower Glycemic Index (GI) score. Glycemic Index is a measure of the effect of carbohydrates on blood glucose levels. Foods having low GI hlep control the level of blood glucose. With its lower Glycemic Index score basmathi will not adversely affect blood glucose levels. Traditional Type: The traditional basmathi rice crop possesses the same nutritional benefits of the basmathi rice variety. 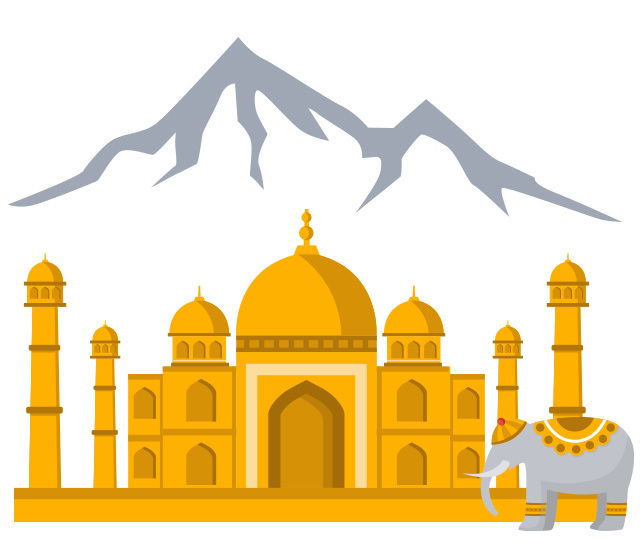 It is processed in the traditional Indian way and goes through an aging process of about a year. Steamed Type: These types of basmathi only go through a quick steaming process. The process does not gelatinize the grain, making it easier to cook. The quick steaming process helps the grain to retain the natural flavor and taste. Parboiled Type: Parboiled rice goes through a soaking, steaming and then drying process. The process gelatinizes the starch in the grain, making it firmer and harder. Parboiled rice is half-cooked rice and the process enhances the nutritional value of the rice.